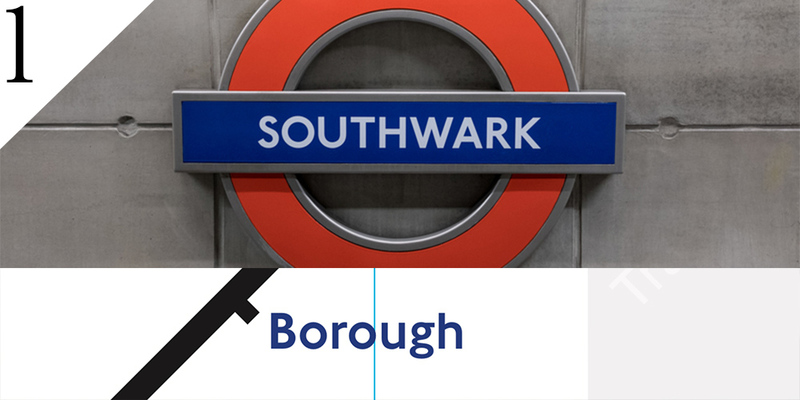 To pronounce SOUTHWARK /ˈsʌðək/ & BOROUGH /ˈbʌrə/ the trick is to get the vowel sounds right and remove the silent letters. Firstly, the vowel sounds are actually the same in both: /ʌ/ and /ə/. They are the same two found in LONDON /ˈlʌndən/ and UNDER /ˈʌndə/ – don’t be confused by the ‘o’ in the spelling, the lips are not rounded when you say these vowels. Most native speakers won’t say a standard /t/ sound in PUTNEY /ˈpʌʔni/, WATFORD /wɒʔfəd/, SAINT PAULS /ˌseɪnʔ ˈpɔːlz/, WHITECHAPEL /ˈwaɪʔtʃap(ə)l/ or COVENT GARDEN /ˌkɒv(ə)ŋʔ ˈgɑːd(ə)n/. They’ll replace them with a glottal stop – literally just stopping the air in the throat [ʔ]. Perhaps the trickiest thing about the tube, is knowing which letters not to pronounce, and there are plenty of them. 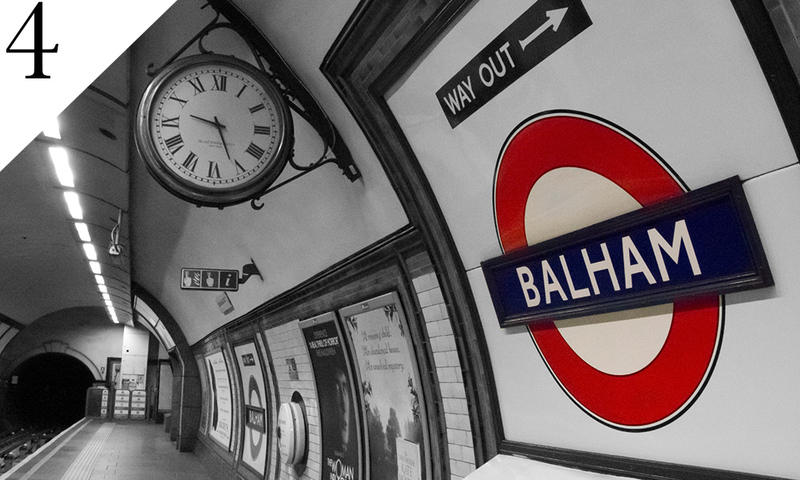 Names ending with ‘ham’ don’t contain /h/ if it is within the word, so BALHAM /ˈbal(ə)m/, CLAPHAM /ˈklap(ə)m/, PECKHAM /ˈpɛk(ə)m/, BECKENHAM /ˈbɛkən(ə)m/, ICKENHAM /ˈɪkən(ə)m/, SYDENHAM /ˈsɪdən(ə)m/, TURNHAM /ˈtəːn(ə)m/, TOTTENHAM /tɒʔn(ə)m/ and FULHAM /ˈfʊl(ə)m/ have no /h/. Do say the ‘h’ in ‘ham’ if it’s a separate word, like WEST HAM /ˌwɛst ˈham/, EAST HAM /ˌiːst ˈham/, or if you’re ordering a ham sandwich. 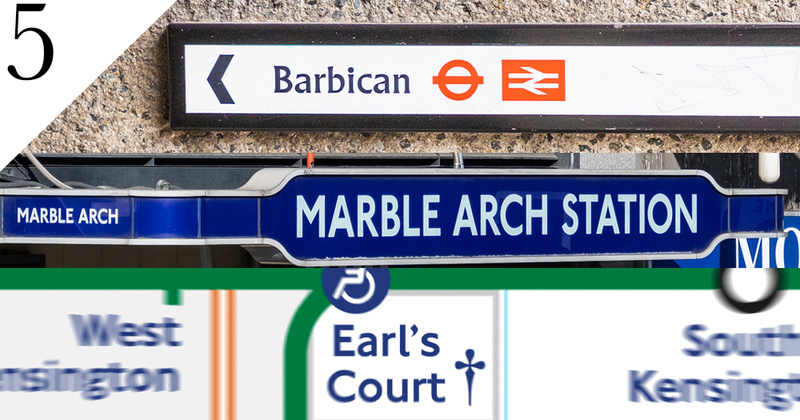 Most native English speakers in London don’t pronounce an ‘r’ unless it is followed by a vowel sound, so BARBICAN /ˈbɑːbɪk(ə)n/ doesn’t have one, neither do MARBLE ARCH /ˌmɑːb(ə)l ˈɑːtʃ/ or EARL’S COURT /ˌəːlz ˈkɔːt/. 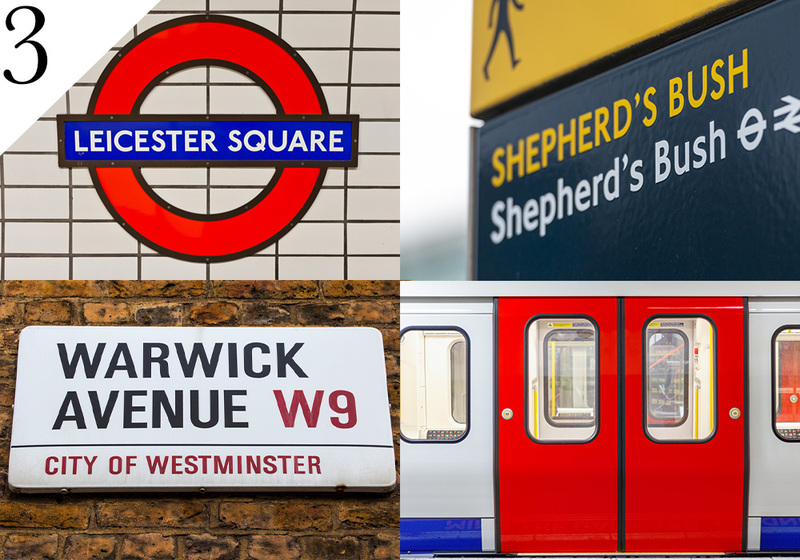 Other stations with silent ‘r’ are ARSENAL /ˈɑːsn(ə)l/, HAMMERSMITH /ˈhaməsmɪθ/, HARLESDEN /ˈhɑːlzd(ə)n/, BERMONDSEY /ˈbəːməndzi/ and POPLAR /ˈpɒplə/ to name a few. Many English accents outside of England and Wales would include all these ‘r’s, but we’re in London, innit, guv? So far we’ve seen words that can be grouped together with certain similarities. 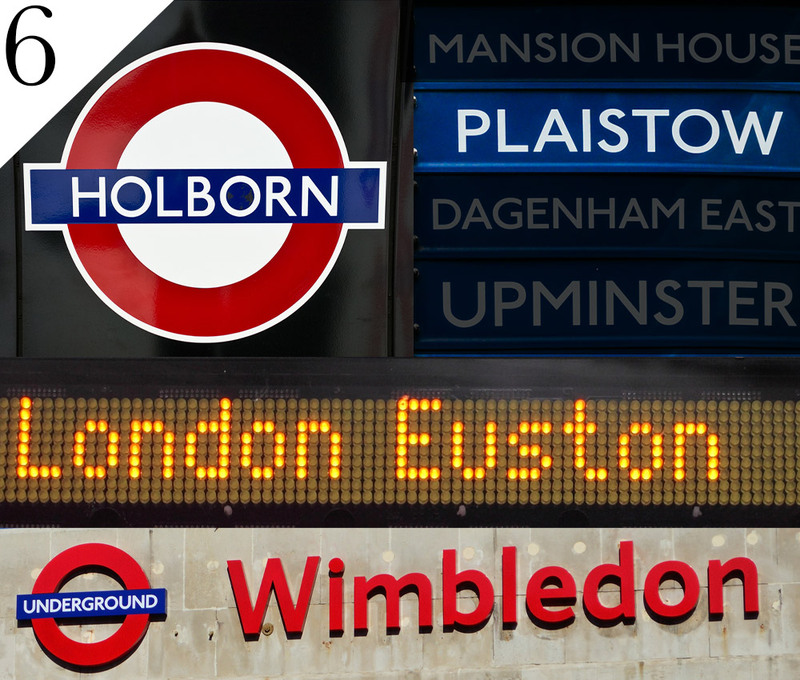 But there are lots of names on the underground that are just weird, stations like EUSTON /ˈjuːst(ə)n/, WAPPING /ˈwɒpɪŋ/, PLAISTOW /ˈplɑːstəʊ/, NEASDEN /ˈniːzd(ə)n/, RUISLIP /ˈraɪslɪp/, WIMBLEDON /ˈwɪmb(ə)ld(ə)n/, STREATHAM /ˈstrɛt(ə)m/ and Pronunciation Studio’s home – HOLBORN /ˈhəʊb(ə)n/. It’s fair to say that the ‘correct’ pronunciation of the station spelt M-A-R-Y-L-E-B-O-N-E, is a mystery, all we can practically do is narrow down the options. Though it might be easier just to walk down the road to Baker Street instead. 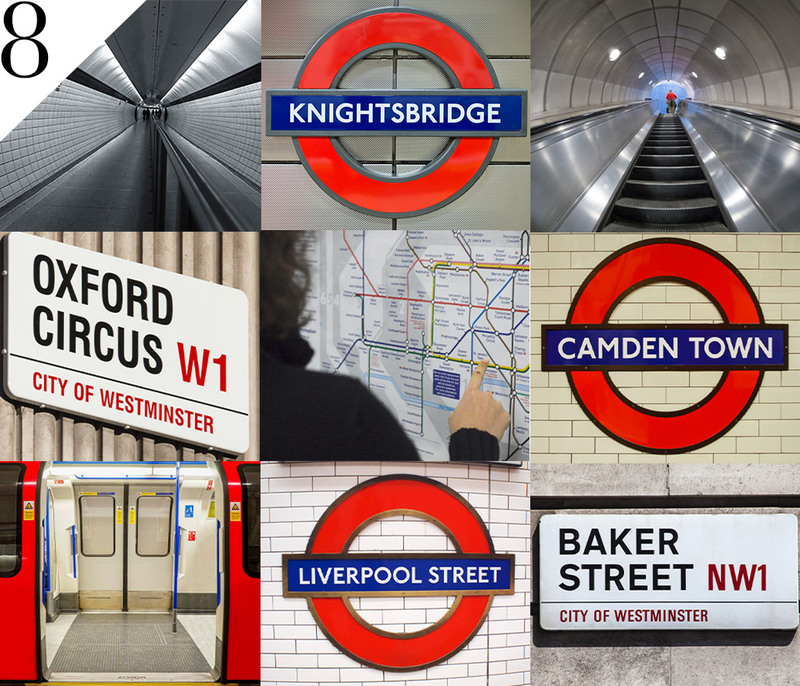 The enigma of London’s tube names doesn’t end with sounds, the stress needs to be in the right place too. When two words appear within one word, the stress is on the first one like in KNIGHTSBRIDGE /ˈnʌɪʔsbrɪdʒ/, HAMMERSMITH /ˈhaməsmɪθ/, QUEENSWAY /ˈkwiːnzweɪ/, BLACKFRIARS /ˈblakfrʌɪəz/, STOCKWELL /ˈstɒkwɛl/, CROSSHARBOUR /ˈkrɒshɑːbə/ and SOUTHFIELDS /ˈsaʊθfɪəldz/. There is an exception though – ‘street’ does not take the main stress: WARREN STREET /ˈwɒr(ə)n striːt/, GREAT PORTLAND STREET /ˌgreɪʔ ˈpɔːʔlən striːt/, LIVERPOOL STREET /ˈlɪvəpuːl striːt/ and BAKER STREET /ˈbeɪkə striːt/. 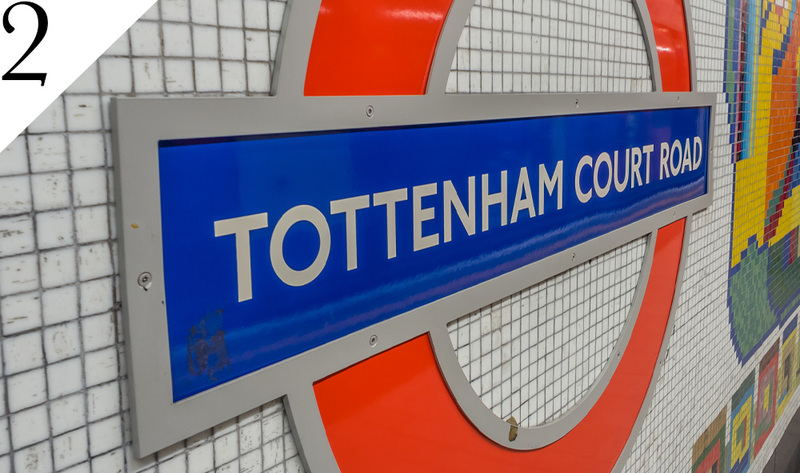 Most ‘th’s on the tube are pronounced /θ/: WALTHAMSTOW /ˈwɔːlθ(ə)mstəʊ/, HAMPSTEAD HEATH /ˌhampstɪd ˈhiːθ/, RICKMANSWORTH /ˈrɪkmənzwəθ/, HEATHROW /ˈhiːθrəʊ/, NORTHOLT /ˈnɔːθəʊlt/, LAMBETH NORTH /ˌlambəθ ˈnɔːθ/, BETHNAL GREEN /ˌbɛθn(ə)l ˈgriːn/ and SOUTHGATE /ˈsaʊθgeɪt/. However, the ‘th’ in SOUTHWARK /ˈsʌðək/ is pronounced /ð/ as are both ‘th’ in ROTHERHITHE /ˈrɒðəhʌɪð/. And although it doesn’t appear in a station name, the THAMES /tɛmz/ is on the tube map, and it’s an exception – TH is pronounced /t/. 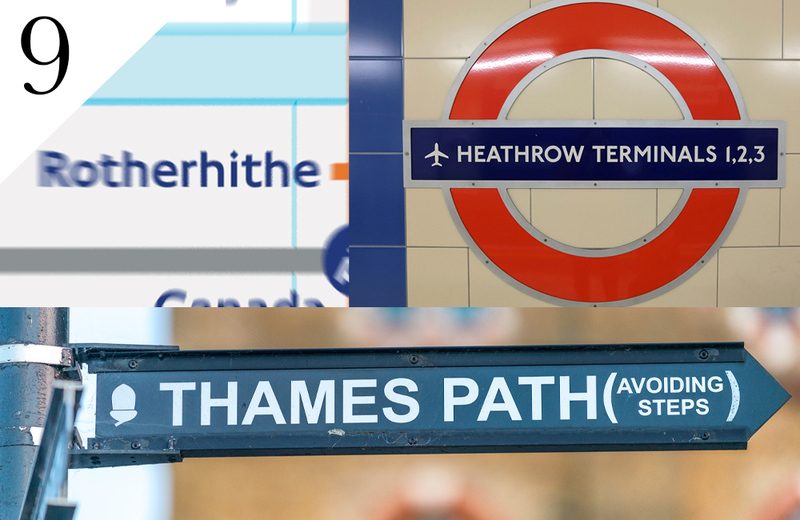 So if you ask for directions to ‘THE THAMES PATH’ /ðə ˌtɛmz ˈpɑːθ/ you’ll say all three versions of ‘th’ in the same sentence.  You’ll have noticed by now from the IPA transcriptions in this lesson, that a large number of tube names contain the sound /ə/ – known in pronunciation as a ‘schwa’. 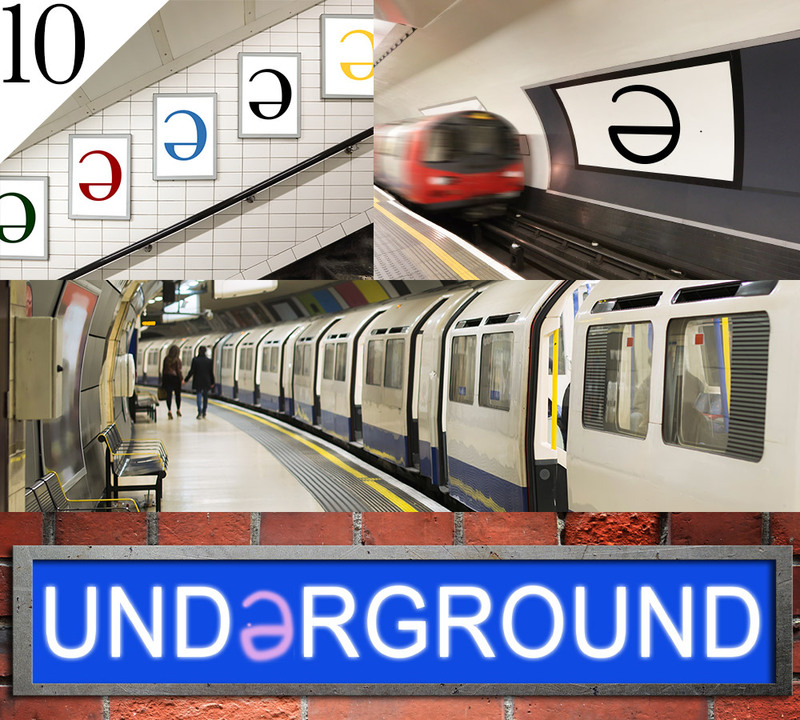 It’s the most common sound in English and of the nearly 450 station names on the London tube map, there are roughly 300 schwa sounds! ELEPHANT AND CASTLE /ˌɛlɪfənt əŋ ˈkɑːs(ə)l/ and CANADA WATER /ˌkanədə ˈwɔːtə/ have three each. Oh my God!! How on earth I am supossed to learn all that only in a life time???? Fantastic! English Language is a Labyrinth!!! I’ve always been curious about the correct pronunciation of Theydon Bois. I thought it was /bwɑː/. Thanks for the clarification. Thank you so muchh, it was very usefull for me. Hugs.